AVG Technologies have made a name for themselves by offering one of the most popular free antivirus applications available – AVG AntiVirus FREE Edition. AVG Anti-Virus FREE is hugely popular, but there are many reasons to consider upgrading to the more comprehensive internet security suite. 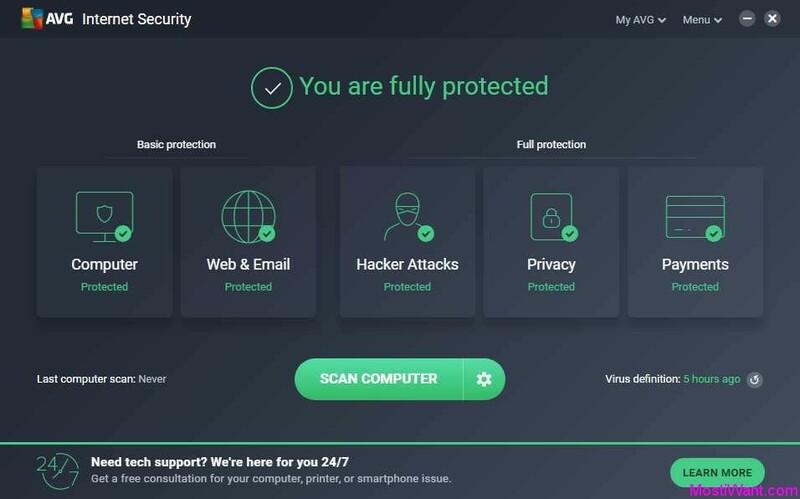 AVG Internet Security 2019 includes all the features of AVG Anti-Virus FREE edition, plus a number of additional features designed to offer the ultimate protection for everything you do online: shopping, banking, browsing, email, social networking and more. 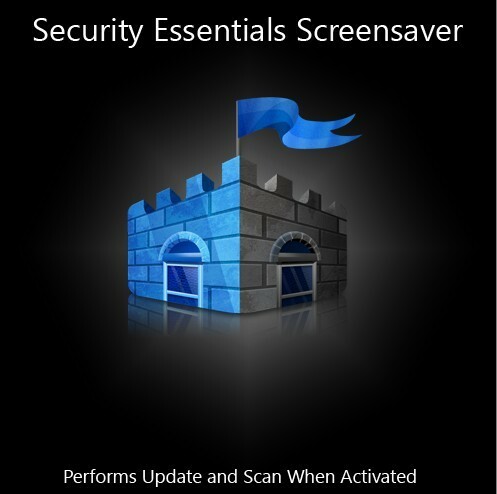 It builds a safer environment, by blocking all suspicious threats and all known malware types. But that’s not all. Its remarkable PC acceleration technology delivers faster and smoother video streaming without compromising your web experience. It also comes with smart performance technology for quicker scans and gaming without annoying lags and freezes caused by scheduled updates and scans. The new AVG Internet Security 2019 edition also features additional layers of protection. AVG Enhanced Firewall gives you full control over exactly who and what comes in and out of your PC. AI-based detection of phishing threats can recognize a phishing site within less than ten seconds. Sensitive Data Shield allows premium users to safeguard personal data they may have stored on devices in the home with an extra layer of protection, from unwanted snoops or cybercriminals. And the Ransomware Protection provides an extra layer of protection against ever-increasing ransomware attacks. That means nobody messes with any of your private data, files, photos, and passwords — no hackers, no ransomware, nothing. All these features are delivered via a well-organized interface that provides quick access to its most important modules, making AVG Internet Security 2019 not just the fastest protection from AVG, but the easiest to manage too. AVG Internet Security 2019 is normally priced at $69.99 for a 1 year serial number/license key. 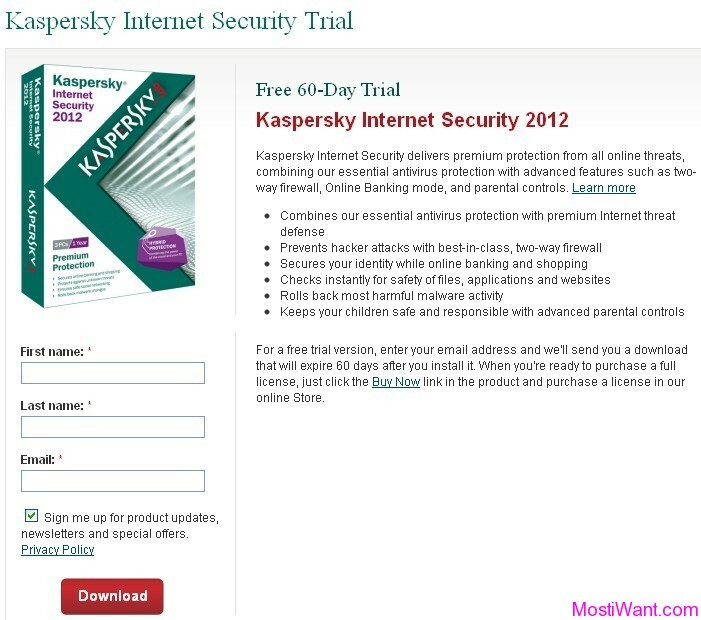 And it comes with a 30 days trial version like other security software. If you don’t like the usual 30 days trial then here is an promotion offer to download a trial version of AVG Internet Security 2019 with a serial key for 1 full year at no cost. It doesn’t say how long this offer will stay free, so get it while it last! This free 1 year trial is actually intended for Huawei dongle users for AVG IS 2016 version but it works for everyone with the latest version AVG IS 2019. And in terms of features and protections, there are no differences between a trial and a paid license — you get all the same features and protections. Interested users should first download AVG AntiVirus FREE 2019 from this link: avg_antivirus_free_setup.exe. Install it ( creating a System Restore Point before trying out a new software or a tweak is always recommended). Note: during installation, the program may offer to install additional apps that not related to the core functionality. If this doesn’t suit you then remove the extra ticks when you’re asked. Once installation is completed, launch the AVG main window, click on the My AVG tab, then click My Subscription and hit ‘Enter License Number’. Next, enter the Huawei giveaway license IBY9X-ESYXT-W4BZQ-QI4WX-A9LI7-INRS3 and this will give your one year free trial subscription of AVG Internet Security 2019. Allow the program (AVG AntiVirus FREE 2019) to download components and upgrade to AVG Internet Security 2019. Once upgrading process is completed, you will need to restart your PC. Now enjoy your free one year subscription of AVG Internet Security 2019. You can check the expiration date of the subscription in My AVG tab> My subscription . Updated: This is not a new promo but lasts for a long time. It is still working even for the latest version AVG Internet Security 2019 and many of you may need it. I change the date published for this post to make it up. Enjoy this full featured and easy to use internet security suite. I really like ang love yor anti-virus that is why I will install it in my computer. Thank you so much AVG. Worked for my today. Followed the instructions with no problems. Many thanks, again. KEY IS EXPIRED. CAN YOU ACTUALLY PROVIDE A VALID KEY PLEASE? UNLIKE EVERYBODY ELSE. still working for me, proof below. Did you follow the steps in the post? Avast has acquired AVG. Avast & AVG Technologies combine together to power the latest in flagship security and tune-up products to tackle ransomware, hackers and data thieves, while keeping PCs fast and clean. hey buddy why you are running this website it waste of time and money.i visited to your site from last 2or 3 year i didnt see any advertise from google so dont waste your time and earn some money doing job etc. Dear paul, Thanks for your suggestion and I do have a job. BTW, hope you find this blog useful! Have a lovely day! Missed you much. Keep up the great work. I tried the license key with the installer but it showed that the license key has expired! Could you tell me what happen? Dear Jack, I am sorry but this is in fact a 1 year free trial license. In terms of features and protections, there are no differences between a trial and a paid license — you get all the same features and protections. However, please note that if you have already used any trial version of AVG Internet Security in the past, you may not be able to get one year free as this offer is intended for new AVG Internet Security users only! 1. Visit the registration page to opt in to the beta test of Zemana AntiMalware 2. 2. Subscribe to their Google Group (Google account required). 3. Return to the page in step 1. 4. Click on the Next Step button. 5. Enter your email address in the text box, and click on “Get Your License”. You will get the license code, along with a download link for the latest version of the application on the next page. 6. Install Zemana AnitMalware 2.0 Beta, and click on the “Key” icon. Copy and paste the license, and click on activate now. Nice find. Thanks very much! when i enter this code IBY9X-ESYXT-W4BZQ-QI4WX-A9LI7-INRS3 this license number you endered has expired. why? Sorry abdul, If you have already used any trial version of AVG Internet Security, you may not be able to active this special one year trial edition. there is a trick to use all giveaways if u r having valid keys/codes but saying key invalid/expired. just rearm/change ur system date to that day in which giveaway offer was given then u wl say wow.i know u will thank me also for this info. Thanks but i personally prefer the 2014 version. Thanks you very much Zsolt, and sorry for my late. I came by to subscribe to the blog with a new address and saw my favorite antivirus program for free. Now all three of my computers are up-to-date with AVG 2015. It works, has stopped several potential attacks, and doesn’t nag me along the way. I’m beginning to trust their firewall too – its guaranteed to work with their own antivirus, which is more than I can usually say about firewalls. An excellent offering, my sincerest “Thanks”. P.S. I noticed that this product key was different from the other AVG 2015 my mainframe was on, and when I checked my mainframe product was plain AVG 2015, not the more advanced AVG Internet Security 2015. All of which is to say that I got a free AVG firewall, which ends any compatibility issues that other firewalls generate. So a second sincere “Thanks” for the upgrade. Dear BearPup, you are always welcome. And thanks for sharing your experience of AVG with us. Sem sombra de dúvida o Avg é o melhor antivírus do mercado atualmente, por isso só uso o avg na minha casa, experimente vc também!!! Dear Wax, I have just tested the offer and find that it is still working. However, please note that if you have already used any trial version of AVG Internet Security, you may not be able to active this special edition. Thank you William, I have used avg internet security 2014 with the 375 day trial, 380 days ago, so am I S.O.L.? or is there some way I can still get it? is it because that server has my ip registered or something? Dear Wax, I am not sure but you may try using a 3rd party uninstaller such as Revo or IObit to remove all remnants after the normal uninstall process of AVG is completed. Then restart your computer and try again. Note: I had to disable adblocker on the site to see the key for some reason. Good find, thank you Alin! Thank you very much and sorry for my late! The AVG giveaway is nice, but i’m waiting for a Bitdefender total giveaway. I’m a hopin and a prayin. Hmmm, there is only 1 key for everyone to use it ?